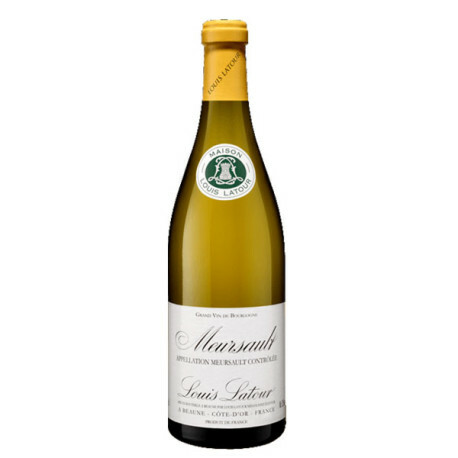 ia a typical Meursault and tends to be a very full, mellow wine and matured somewhat sooner than the wines from the neighbouring communes of Puligny and Chassagne. Situated just south of Volnay and Pommard in the Côte de Beaune, Meursault is the most extensive southerly white wine commune of the Côte-d’Or. The perfect south-easterly exposure and the stony, marl soil contribute greatly to the remarkable finesse of which the wines of Meursault are capable. Fermented in traditional in oak barrels with complete malolactic fermentation and aged from 8 to 10 months ageing in oak barrels, 15% new Barrels Louis Latour cooperage, french oak, medium toasted. Louis Latour Meursault 2014 offers a nice pale yellow colour. The nose is complex, with citrus and candied lemon notes and aromas of fresh butter and toasted bread. On the palate, it is well-balanced and reveals fresh hazelnut flavours. A nice mineral tension on the finish.